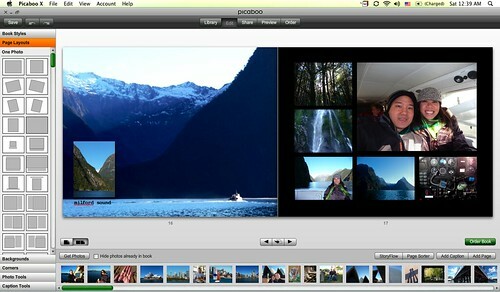 Picaboo's latest software, Picaboo X, released in April 2010 is both Mac and PC compatible. Using the new software requires a download of Adobe AIR. Software built using this platform, runs on your desktop without being connected to the Internet. 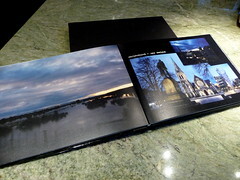 To start building a book, the program requires a quick selection of the photos you wish to use. 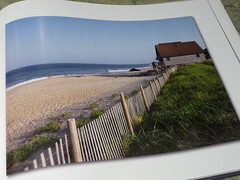 Unlike some other photo book companies, you don't have to upload full-sized versions of your photos before you can start to design your book. It took only 1 min and 17 seconds for me to access a folder of 619 photos for the Madison book I created and then I was off and running. I've never used the older Picaboo 2.5 software before, but the new software features fully customizable layouts and thousands of backgrounds. 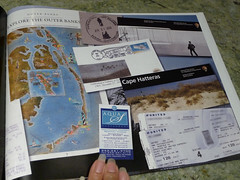 They offer a number of book styles, all in landscape format in hardcover and softcover styles. A variety of materials are also available including velvet, leather and linen. 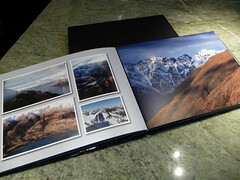 Three Five book sizes are offered: 8x6, 11x8.5, 14x11 and a new square format in 8x8 and 12x12 with prices starting at $9.99 for a 20-page 8x6 Classic photo book. What's nice is the software makes it fairly easy to switch book styles at any point in the creation process. 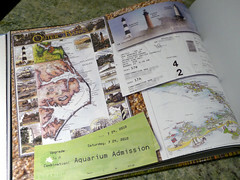 You can therefore retain the interior layout that you've created and just swap out the book cover and style for another. 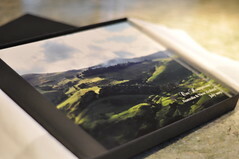 That feature may come in handy for a bride and groom who want make a nice, but affordable version of their album for family as a gift, while keeping a more expensive wedding album as an heirloom. 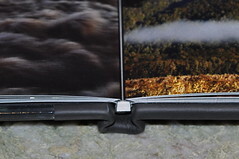 For those looking for a higher-end look, Picaboo also offers 6 lay-flat styles of photo books, ranging from $99.99 for a 20-page Madison to $449.00 for a 14x11, 20-page Flush Mount book - the most expensive book offered in Picaboo's product line. 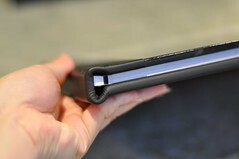 More recently lay flat options have been added to the Classic line, allowing users to upgrade to lay flat binding for a flat fee of $15.00 $9.80 for the first 20 pages and starting at $1.48 per page for additional pages depending on book size. Don't forget to check the main Photobook Deals page for all of today's deals! Bookmark that page or fan me on Facebook and you won't miss out on the latest coupon codes! 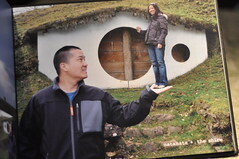 Save money with the latest Picaboo coupons and deals, or see if there are any Picaboo groupons. Thinking about designing a photobook on Picaboo? 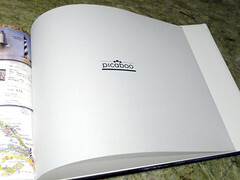 You can view a detailed chart of every Picaboo photo book, including sizes and pricing. 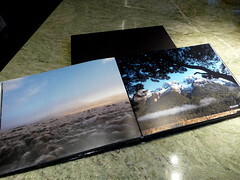 See the full list of Picaboo photo books.